Those of you who have read any of my previous blog posts know that I am appalled at how much money the flooring industry spends on legal issues, many of which with common sense and rational communication could be avoided. In a new twist, Berry and Unilin have taken a new path of cooperation, not confrontation, which can only mean more money will be available for product development and that's good for the industry. Valinge Innovation of Sweden, representing their exclusive licensee (at the time) Berry Floors (think Alloc). At the time, both Berry and Unilin were owned and based in the same region of Belgium. Early actions between Unilin and Valinge included lawsuits, counter claims, injunctions and even the dismantling of booths at the Domotex flooring fair in Germany. It's no exaggeration to suggest that the aggregate cost of litigation involving these and other laminate companies ran into the hundreds of million dollars; a very nice situation for the legal eagles. Following this agreement the US Industrial Trade Commission upheld Unilin’s mechanical locking patents and issued an exclusion order forbidding the importation of glueless laminate flooring not licensed by Unilin or Valinge. This effectively forced Chinese laminate manufacturers to enter into licensing agreements with Unilin and this brought much needed law and order to the laminate segment. One of the latest innovations in the laminate manufacturing process is laser cutting technology developed by Berry which eliminates the white lines often present on darker colors of laminate flooring. After several refinements, the technology is now ready to be licensed out to third parties. Competitors of Berry have no doubt been closely following the development of this technology and working hard to create a process of their own. However, this time instead of legal battle, Unilin (through its intellectual property unit Flooring Industries) has joined forces with Berry to jointly market the Berry patented laser cutting technology. (Unilin and Berry cooperate on LaserCut patent). This is a win-win situation for both companies. Unilin can offer product featuring the new technology to its product customers and also sell licenses to use the patented technology to licensees of its Uniclic® locking system. In return, Berry can sell product and licenses to its own customers and it benefits from Unilin’s many years of experience protecting patents and collecting royalties, as well as being able to have its patented technology marketed to Unilin’s licensees. So isn’t this better than making lawyers rich by suing and counter suing each other? It surely means more funds are available to develop the market. 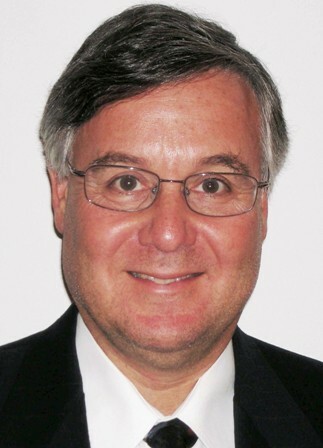 Speaking of confrontation, the conflict between the Coalition for American Hardwood Parity (CAHP) and the Alliance for Free Choice and Jobs in Flooring (AFCJF) is beginning to escalate. Participating US manufacturers are now introducing the concept of “targeted dumping” into the argument. This process could introduce new methods for calculating dumping margins. Jonathan Train, president of the AFCJF, confirmed my fears when he stated recently that there is a tremendous amount of money being spent by our industry on this matter. "Money is being sucked out of our industry for no good reason,” he said. In today’s economy this is not good news - unless of course you are in the legal profession. Let me have your thoughts, and as always thanks for reading this. 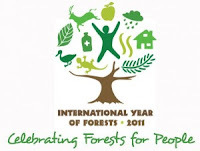 The United Nation's International Year of Forests 2011 is a year-long celebration of trees and forests on our planet. What could possibly be wrong with that? Nothing on its face, yet I was alarmed by a film commissioned by the UN to support the endeavor. The visually beautiful film focuses singularly on preserving trees by not cutting them; ignoring the benefits of sustainable forestry management. It leaves the impression that cutting down trees is bad. Period. That message is unbalanced and alarming. Why is this alarming for the hardwood flooring industry? Everyone in the hardwood flooring industry understands the positive benefits of wood flooring to the world. Consumers don't but they need to. If this industry wants to grow, we have a duty to educate consumers of the true story that wood harvested from well managed forests and turned into flooring creates the world’s most environmentally friendly floor covering available. Regular readers may recall that I wrote about this last year in Wood Flooring Role .... in Sustainable Carbon Storage. Well managed forests - cutting down trees using sustainable practices - actually enhances the carbon sequestration process by increasing the forests' ability to absorb carbon dioxide and release oxygen into the atmosphere. Carbon sequestered in harvested timber is transferred to durable products such as wood flooring, where it remains trapped for the life of the floor. Consumers who buy wood flooring participate in that cycle - a benefit that is unique to hardwood flooring. I did not expect to be shocked and alarmed when I watched Of Forests and Men. The International Year of Forests is a noble concept I was prepared to support but after seeing this film I felt it was more important to warn the industry of the unbalanced message it contained and I did so at the international Wood Flooring Forum in Shanghai this past March where we viewed the film. I urged the wood flooring industry to provide its consumers with a more balanced message and explain the role of hardwood flooring in carbon sequestration; to educated them to the environmental benefits of sustainable forestry practices and benefits of owning hardwood flooring. Of Forests and Men is available for download from the goodplanet.org or YouTube among others. Please take a moment to watch it at the link below. It is incumbent upon the industry to ensure our products come only from sustainably managed forests. I hope that manufacturers will develop marketing stories that include the carbon sequestration concept and that distributors and retailers will reinforce the story. Every grower, manufacturer, distributor and retailer must do their part. I am passionate about this and I hope this post prompts a dialog. Our Industry must accept this challenge and I would really like to hear your thoughts and ideas. Did you know that the Floor Covering Institute has a Facebook Fan Page? I recently needed to ship a box to New Zealand so I went to the UPS Store only to learn that their least expensive service was over $400. My next stop was the US Post Office which I dreaded as I envisioned the stereotypical long lines and bureaucratic employees waiting to collect their pensions. Did I mention this is a stereotype? I was surprised to find the post office relatively empty and I walked directly to the counter where Bob was waiting for me with a smile. I knew the smile would disappear as soon as I explained that I wanted to ship to New Zealand without it costing an arm and a leg. Surprisingly, Bob took the challenge seriously; weighing, measuring and explaining all of my options - which ranged from $30 to $48! I waited for him to tell me that at this price it would take 4-6 weeks to get there, but instead I learned the box would travel via Fed-Ex and whether I spent $30 or $48 it would arrive on the same day. Paying only $30 depended upon reducing my shipment weight by one ounce; four pounds or less was the limit, Bob explained, as he set about to find a way to save me the 18 bucks. Bob looked around for a slightly smaller box but it was still too heavy; an over sized envelope didn’t work; finally he found an over sized box and cut it down to exactly the size I needed, but we were still one ounce over weight. I finally told him the $48 option was okay but he was disappointed to have not found the solution. I was blown away by Bob’s conscientious and friendly service which would have been appreciated regardless of what product he was offering; I figured the least I could do was to write him a letter of commendation. Just because you sell buggy whips doesn’t mean you can’t adapt the way you sell them and that’s a lesson for every business to keep in mind. 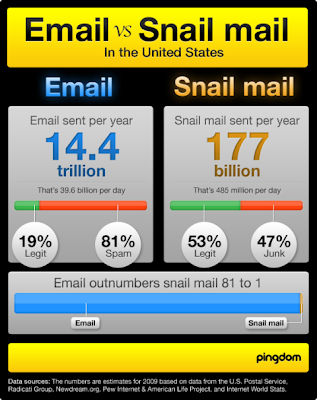 While the US Post office cannot eliminate the primary service that is losing market share to the Internet - snail mail - it has adapted to use the Internet to its advantage. From the Internet you can now plan a shipment, order supplies, print postage and order a pick up. If you have a business that can’t (or won’t) adapt to changes around you - for example your primary product is buggy whips - at least look for ways to use new innovations to your advantage. Put your catalog of buggy whips on the Internet, ask a marketing expert how to integrate social media, talk about your business on line, consult with an expert to find out what others are doing… As Yogi Berra would say, “You can see a lot just by watching.” I know I did. Thanks, Bob. The flooring industry may be global but every selling market is local. 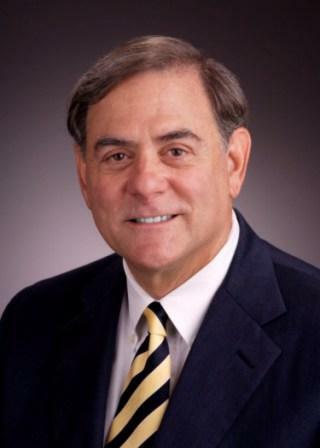 That was the message I tried to bring home last month when I participated in a Floor Covering Institute panel discussion at Coverings where I addressed the economic environment and the selling opportunities in the United States. Today’s post is taken from that presentation and reveals some important areas of opportunity for the floor covering industry where demand for floor covering should be on the rise. Yes, the recovery is weak…Catalina Research estimates that first half 2011 square foot floor covering sales (shipments minus exports plus imports) could increase less than 1.0% over the first half of 2010. 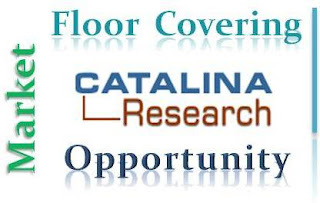 The March 2011 issue of the Catalina Floor Coverings Quarterly Update indicates that U.S. housing demand and nonresidential construction spending is expected to continue to decline in the first half of 2011. To outpace this sluggish market environment, the flooring industry - manufacturers, distributors, retailers, and installation contractors alike - must work to uncover growing selling opportunities in local markets. Here are three you should examine. Three bright spots in the U.S. market include the recovery in high-income household spending, and stronger income gains in energy and agricultural producing areas of the country. In 2010, homes selling for $1 million or more increased by 18.6% according to DataQuick Information Systems. At the same time, sales of homes priced under $1 million declined by 2.8%. The gain in high-end home sales was sharpest in Los Angeles and San Jose, New York City and Washington, DC. Markets benefited from the surge in Internet social media and entertainment markets, recovery in the financial service industry, and rising Federal government spending. The consumer confidence index for households making more than $50,000 a year hit a nearly three-year high in January 2011, while the index for households earning under $50,000 remains below their spring 2010 highs. Energy producing states, such as North Dakota, Oklahoma, Texas, and Wyoming, are another key target. Rising energy costs have resulted in below average unemployment rates and above average income gains in these states. North Dakota’s economy, for example, is booming due to the discovery and production of the Bakken oil reserve. In contrast to the rest of the country, it is facing a housing shortage and considering no interest housing loans to spur home building there. A recent analysis of U.S. ceramic tile demand indicates that per capita sales in Texas are 65% above the national average. Above average consumption in Texas is due in part to stronger state income gains, a healthier Texas home building market, and above average performance for the state’s nonresidential construction spending. In contrast to rising food costs that may be adversely impacting flooring demand in the Atlantic and Pacific regions, soaring farm incomes in states like Iowa, Kansas, Nebraska, indicate that flooring distributors should strengthen their sales effort in those areas. In fact, U.S. farm proprietor income rose by 53.3% in Q4 2010 over the previous year, while total U.S. personal income rose by only 4.0% in Q4. Your goal should be to get farm area households to use more high-end flooring in remodeling projects as their incomes rise. You can access and track all of these trends at the state, city or even the county level by analyzing data on housing permits, housing inventory and existing home sales, nonresidential construction spending, and personal income. Local sales opportunities can also be evaluated by analyzing the number and sales of floor coverings retailers and number of flooring contractors for local markets. Using this data a floor covering manufacturer, distributor, or retailer can estimate sales potential for the new housing, residential remodeling, and commercial markets by type of flooring or by local market area. Remember, while the national market may be recovering slowly, local markets can be mined for growing sales and profit opportunities. With good data and analysis, you can drill down into local markets to benefit even a single retail location.